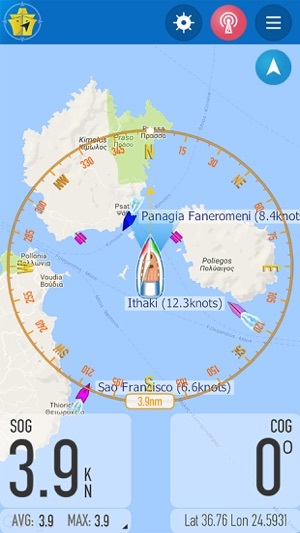 Improve your experience at sea with OnCourse, the new boating and sailing navigation aid from MarineTraffic, the global leader in vessel tracking. 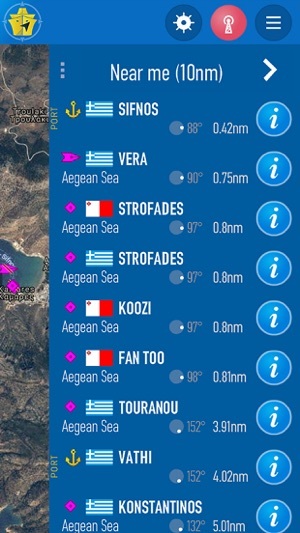 OnCourse helps you stay aware of the traffic around you, plan your voyages, while sharing your position with your friends and loved ones through the MarineTraffic Live Map. Note: OnCourse is not AIS, OnCourse simulates the data transmitted by AIS transponders; however, it only transmits data through the Internet and not over AIS radio-frequencies. 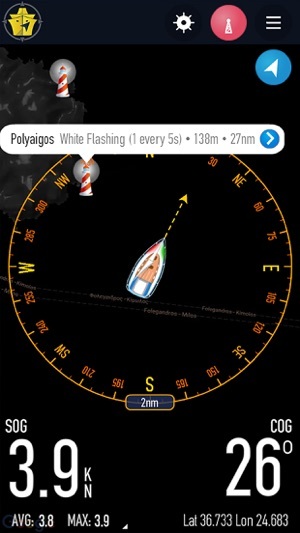 The information transmitted by OnCourse is not visible by the AIS receivers of other vessels. It will only be displayed on the MarineTraffic website and apps. 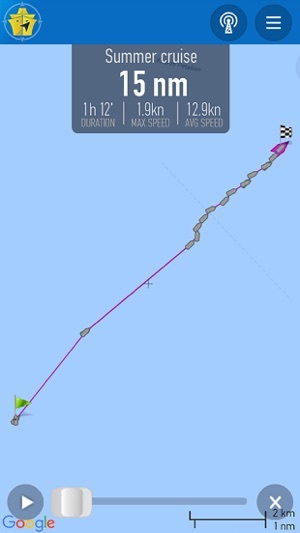 As such, OnCourse is a self-reporting tool that does not substitute AIS transmissions and it is not, by any means, related to the safety and navigation equipment of a vessel. 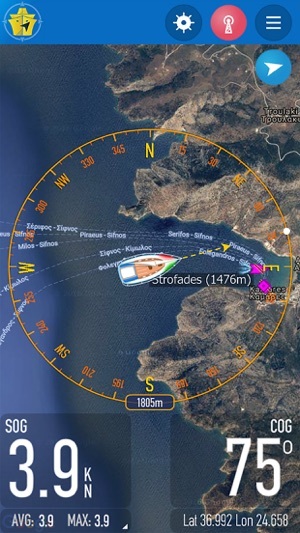 Provided that Internet connectivity is available, the vessel's positions will start being reported once the OnCourse application is launched on your mobile device. Positions will continue being reported even if the app is running in the background! Broadcasting must be turned off whenever the device leaves the vessel. Registration for a MarineTraffic account is required in order to start reporting your position through the application. The details of the vessel must be also configured when using the app. This application is to be used for informational reasons and as navigation assistance. This is not a substitute for the good seamanship practices, the onboard navigation and safety instruments required by applicable regulations. The app has apparently replaced the previous mAIS app. In the past I used the mAIS app all the time when out on my boat so that my friends and family could see where we were boating. My brother also used it when we was out and I could track his progress. This new app does not seem to work. Both my brother and I have been trying to use it over the last few weeks without much success. We are logged into accounts, we have mmsi numbers registered, we are cruising in areas with decent cell coverage. It just doesn't seem to report our position. Perhaps if I bought the upgrade to the "pro" version it would work but why would I do that. Based on the description of the app, the free version should simply report position. Needed something like this last trip but now i've registered i'm ready to go. Good UI and experience so far! This app requires that you set up an account, which is completely understandable. The problem is the registration page is beyond unusable- will not tell you what the password creation requirements are- indecipherable anti-robot mechanism.